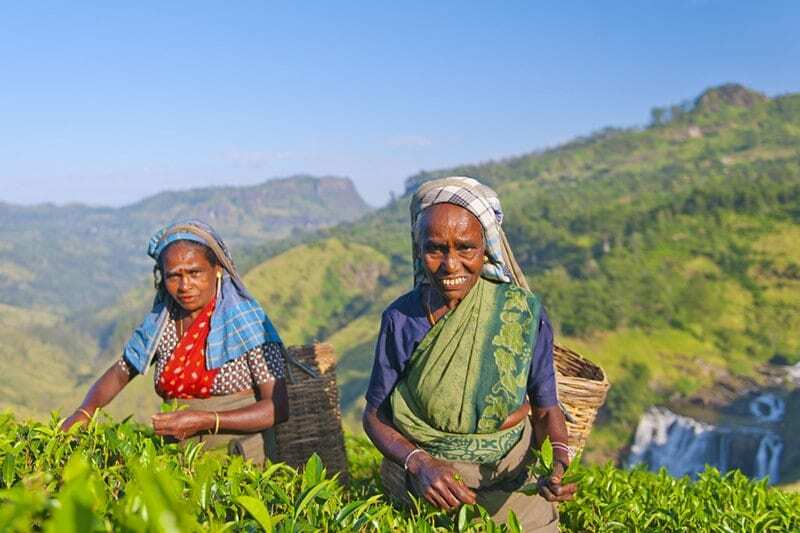 Surrounded by the warm waters of the Indian Ocean, Sri Lanka is a tropical island fringed with golden beaches that enclose a land of green hills, tea plantations and Buddhist temples dating back thousands of years. Its national parks are home to hundreds of elephants and the world’s most dense population of leopards, whilst every January to March blue whales migrate along the country’s southern coast and can be viewed by boat at close quarters. For cricket-lovers, the chance to take in a match at Galle is one of the finest ways to meet the locals whose passion for this sport is boundless. 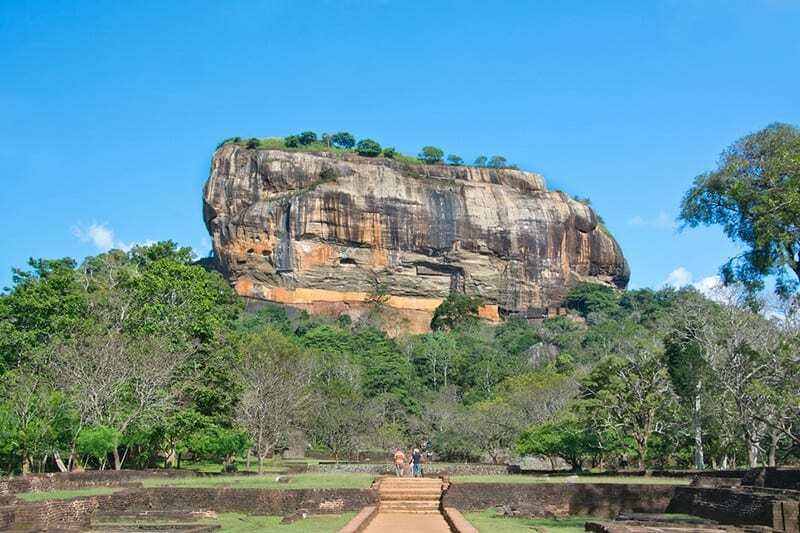 Sigiriya’s ‘Lion Rock’ in Sri Lanka’s central hills is a fortress atop a huge rock that rises 200m above the jungle floor. This 5th century World Heritage Site was once the stronghold of a fortified town and you can see the old moat and ramparts of the town below you, as well as enjoy commanding views of the surrounding countryside from its lofty summit. Nearby, the Dambulla Rock Temple is the most impressive of the country’s many cave temples and has the largest area of wall paintings in the world displaying over 150 Buddhist images. Situated on a broad lake amidst rolling green hills, Kandy is the nation’s old capital. It is a lively town with plenty of faded colonial grandeur that is now a UNESCO World Heritage site in recognition of The Buddhist Temple of the Tooth Relic that sits on the lakeshore. Every August the ten-day Esala Perahera festival takes place here – a pageant of colour that celebrates the Tooth Relic’s first arrival on the island. 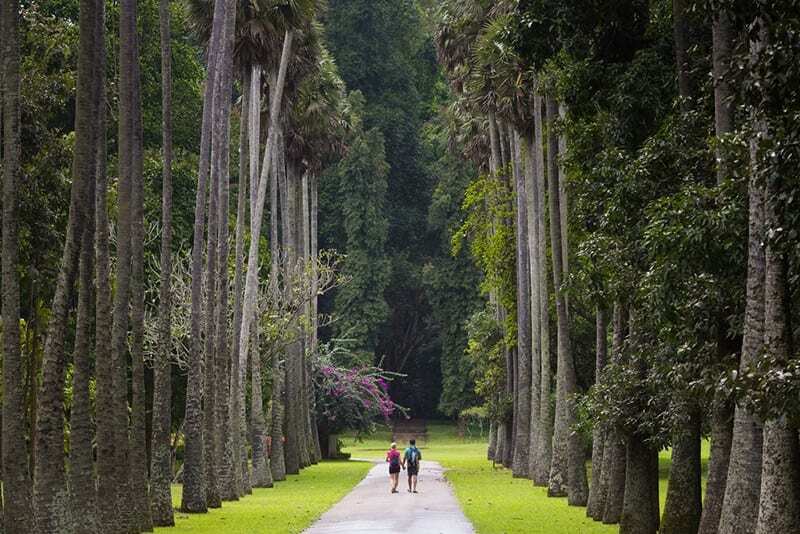 For something more relaxing a stroll around the lake or a picnic in the Royal Botanical Gardens offers a delightful diversion. What to do: Walking tour of the city, enjoy traditional Sri Lankan dancing performances at the Temple of the Tooth. Linked with Kandy by a wonderful train journey through hill villages and verdant tea country, Nuwara Eliya at over 6,000 ft is Sri Lanka’s most popular hill station. It is possible to enjoy all kinds of sports and past-times here from rafting to rounds of golf. A trek to Adam’s Peak on Horton Plains is a rewarding hike and there are shorter walks to see the vertical drop of ‘World’s End’ or the beautiful waterfalls of St Clair’s and Devon. The town’s many old mansion houses offer outstanding accommodation in a setting redolent of colonial times. What to do: Take a boat trip on Lake Gregory, tea factory visit, see migrant birds at the Galway Sanctuary. Situated in the south east corner of the island, Yala is home to the widest variety of Sri Lanka’s wildlife. It has a range of habitats comprising jungles, craggy hilltops, fresh water lakes and mangrove forests and is home to many species of animals including sloth bear, herds of elephants, buffalo, monkeys, deer, crocodiles and the endangered leopard. The dry months from May to September are the best time for viewing the larger mammals whilst from October to April Yala hosts many species of migratory birds. January and February are the most favourable months for observing leopard cubs. Many Sri Lankan travel itineraries complete a clockwise circuit of the central and south-west region of the island with some time spent on the beaches of the south coast where traditional stilt-fishermen can be seen offshore and whale-watching boat trips arranged in season. A stroll around the ramparts and winding streets surrounding the old fort at Galle is a worthwhile stop en route to the many beach resorts further west. Ahungalla and Bentota have a full range of beach accommodation, some offering Ayurvedic spa treatments. What to do: Whale-watching, swimming, spa treatments. Until recent years the east coast of the island was effectively closed but the journey across the island to the port town of Trincomalee is now possible and this fascinating town, built around one of the world’s finest natural harbours, is beginning to thrive again. It is considered by many to be the site of Gokana in the Mahavamsa (Great Chronicle) and its Shiva temple is reckoned to be the site of Trikuta Hill from the Hindu text Vayu Purana. Dutch Bay in the very centre of ‘Trinco’ is a picturesque place for evening strolls amongst the ice-cream sellers and the nearby beach resorts along the coast offer great surfing opportunities. Sri Lanka is warm all year-round. December to March is the best time to visit (these being the driest months). There are 2 rainy periods, April to June and October/November. Visit in February if you can – it is one of the very best months for weather, there is the Navam Perahera elephant parade to celebrate this month’s full moon and it is the middle of the blue whale migration season along the south coast. Just a 1.5hr flight away, the Maldives can give you a luxurious and indulgent finale to your stay in Sri Lanka with their gorgeous white sandy atolls, outstanding snorkelling and beach-front accommodation.